Click Below for our choice of our most FAQ’s. If anything is unanswered, please email us for more information. We include 3 x personalized towels per person, shampoo and shower gel for you to use on board free of charge – no need to pack these in your luggage! We want to make the experience as stress-free as possible and as such we are one of the only operators to INCLUDE full rental equipment in our price. The only piece of dive equipment that is not provided is dive computer rental which costs and additional 75,000 IDR PER DAY, though it is not mandatory to use a computer as your dive leader will have one. If you have your own set of FULL equipment, we offer a US$ 10 per day discount to you. We love diving and we know how much Komodo can be exciting for divers but at same time extremely tiring. Due to this, our trips are focused on leisure and we prefer to do not more than 3 (sometimes 4) dives per day (depending on the itinerary). Our aim is to provide the best 360 Degree Experience in Komodo National Park. There are 2 seasons in Komodo. We are fortunate enough to have such a vast diving area within the National Park, that we are able to ‘switch’ diving locations year round. Komodo National Park seems to have its own eco-system; this is due to the mountainous landscape of Flores which collects most of the rain fall. Often, when in contact with the boat, it may be pouring rain on land in Labuan Bajo, yet perfect cloudless skies in the National Park. Yes, it’s strange, but it’s true. The good news is, there is no ‘bad’ time to visit and dive in Komodo. This is normal tropical rain intended to break the heat, it may pour down for 1-3 hours then brighten into the most sun filled day. Do not worry too much about the weather, as we will be enjoying the incredible and untouched beauty of the South, in near solitude! Less divers = more mantas and different dive sites!! April to November: This is our “dry” season (temperature during the day 29°- 31°C, during the night about 24°C), with a light east wind and wonderful conditions. December through March: Our “wet” season has intermittent rainfall, (temperatures during the day range from 29°- 35°C, during the night about 28°C). One policy we have on our liveaboard is that all divers joining our trips must have a minimum of Adventure Deep dive and Night Adventure dive. If you are Open Water certified only, you may do your Adventure Deep dive or Night or your full SSI Advanced Adventurer Course on board. Why do we require this? Simply put, the variation of dive sites in Komodo is huge – famous sites such as Batu Bolong and Castle Rock require a deeper dive due to the topography and entry and exit points. Benefits to Beginner Divers: You would be under the close supervision of an instructor for your first immersions in Komodo – what a great benefit for becoming a great Advanced /Adventure diver. Benefits to Advanced Divers: Our groups are evenly matched in maximum depth limits so that we do not limit our previously certified advanced+ customers on board. Advanced Adventurer Course – Deep Dive, Night Dive, Navigation, Perfect Buoyancy & Waves, Tides & Currents adventure dives. $ 225 per SSI certification of Advanced Adventurer including agency certification fee. Individual Adventure Dives – Deep Dive (mandatory) &/or Night Dive (mandatory unless you want to skip the night dive – no additional day dive will be offered) Navigation, Perfect Buoyancy & Waves, Tides & Currents adventure dives. 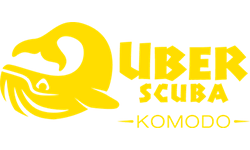 $ 40 per Adventure Dive including log book stamp and certificate of completion. If you have not dived for over a year then a Scuba Refresh is included in the Liveaboard Price. If you are hoping to do the Advanced Adventurer course/Adventure Dives with us, we will need to see proof of your Open Water Certificate.